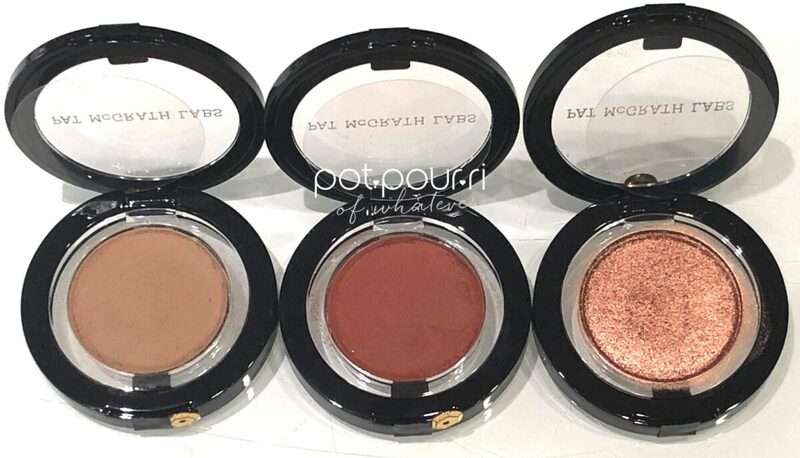 For as long as I’ve worn makeup, it was popular to purchase three or four eye shadow singles. As a result, those three shadows could create one or two looks. However, now it is more popular to purchase eye shadow palettes. Do we need all of the colors in all of the eye shadow palettes we buy? 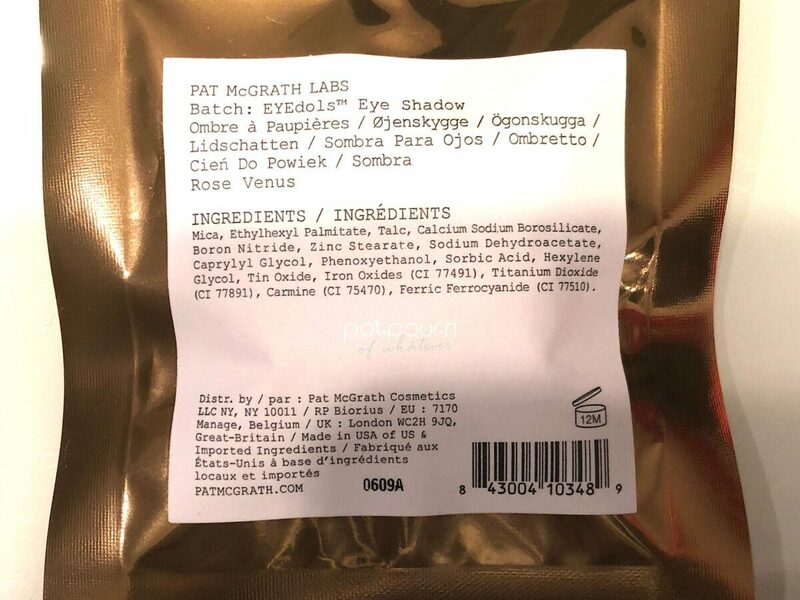 Eyedols, the new Pat MCGrath Single Eye Shadows, come in 17 shades. Six shades in the collection are new. The other eleven shades, re-promotes, are oldies but goodies. There are two really good reasons why I like the new Eyedols. First, you get to choose the shadow shades you’ll actually wear. My point is, why would you keep purchasing curated eye shadow palettes? Some of these palettes are very expensive. 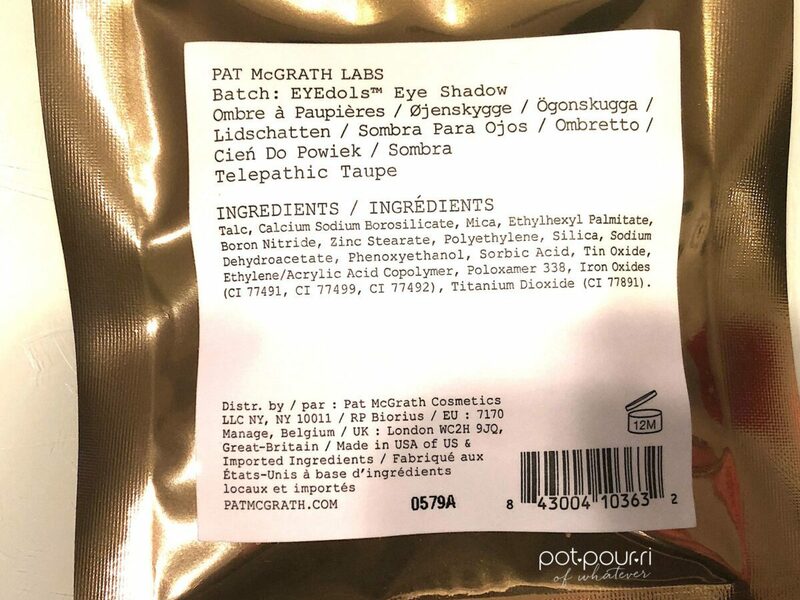 For example, Pat McGrath’s Mothership Palettes cost $125. Although, each shade becomes less expensive when you break down the cost of the palette with regards to the twelve shades. And none of the shades are expensive if you wear all twelve of the shades in each of the Mothership Palettes. Each shade costs about twelve dollars. However, if you are only going to use three shades in the palette, you are wasting about $89 on that palette. My point, sometimes its better to buy three shadow that you will wear than a palette of 10 shades, nine of which you won’t wear.. Or, in an even larger palette, like in Natasha Denona’s case, some of her palettes have as many as 28 shades! You can’t honestly say you’ll wear, or use, all 28 shades! Unless you are a makeup artist, that is. 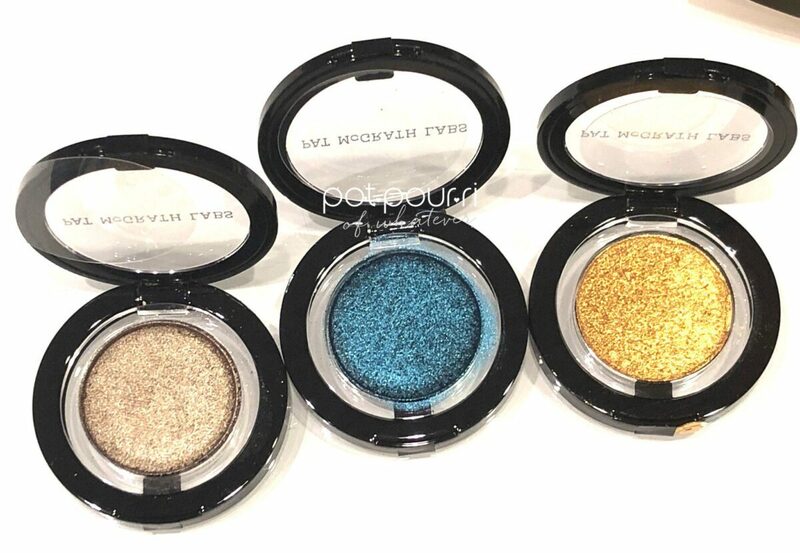 Which brings me to the second reason I like the new Pat McGrath Single Eye Shadows. You don’t have to scratch your head, each time you open a large palette filled with shadows. In other words, with three or four singles, you’ll know exactly what you’ll do, and how you’ll do it! 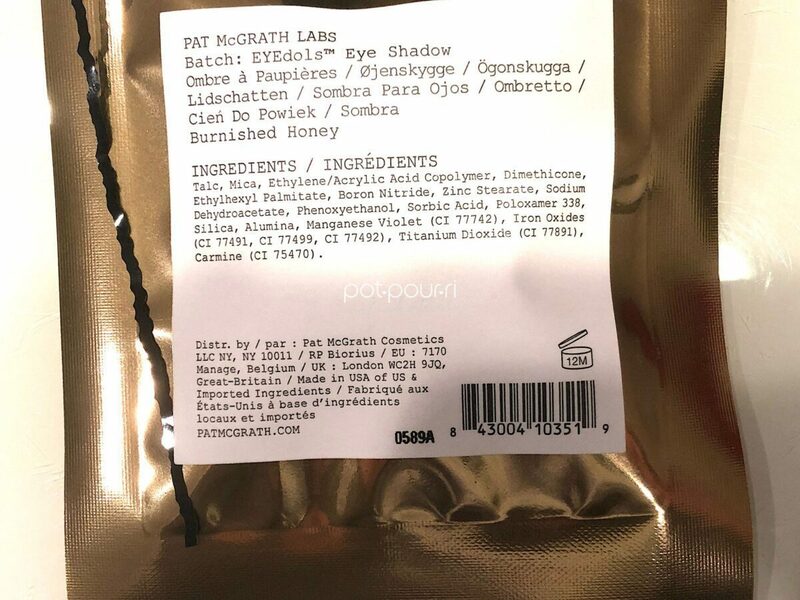 Finally, now you can build your own Pat McGrath eye shadow collection! 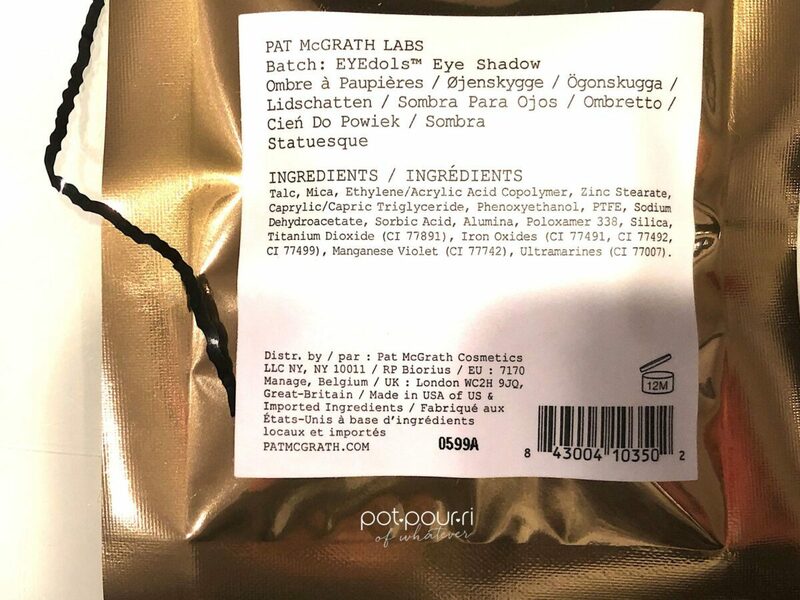 The Pat McGrath Single Eye Shadows, Eyedols, can be found at Sephora and on the Pat McGrath Labs Website. 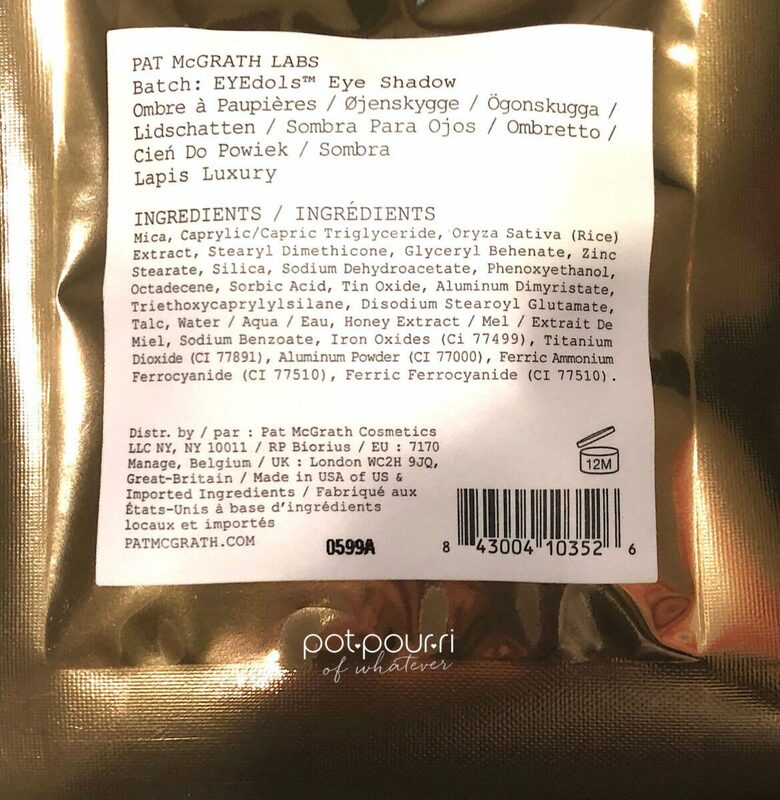 Finally, each Eyedols shadow retails for $25. To begin with, Pat really lets us know that we’ve received something new. In fact, every new product, eye shadows, lipsticks and blush, are presented as a new years eve party. 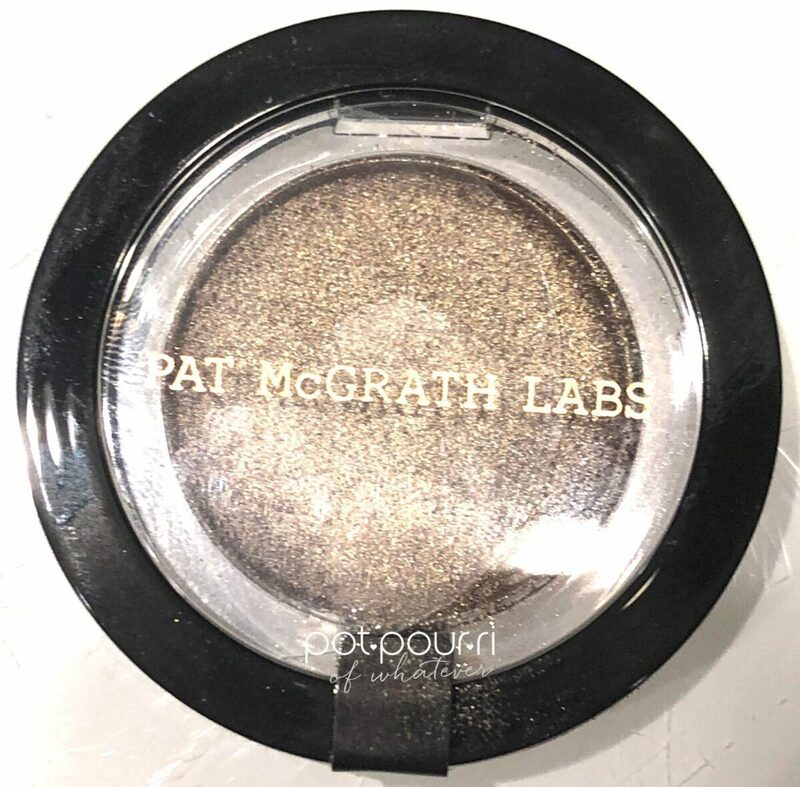 Pat McGrath packs her eye shadows in a metallic gold packet, with a see-through front. 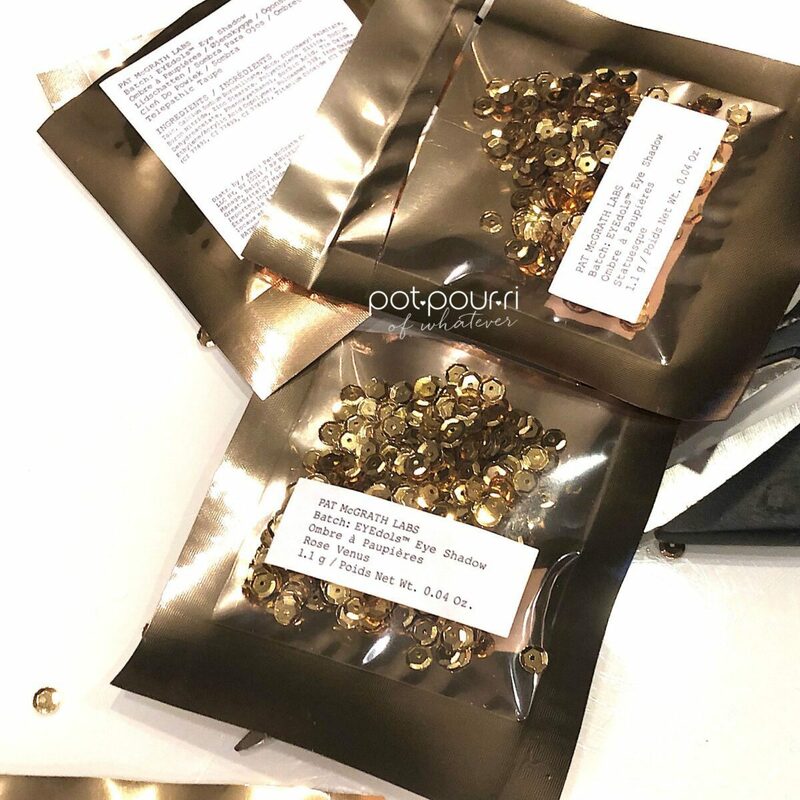 When you look at the package, you see a sea of gold sequins burying your product. Then, when you open your packet, the sequins go all over the place. 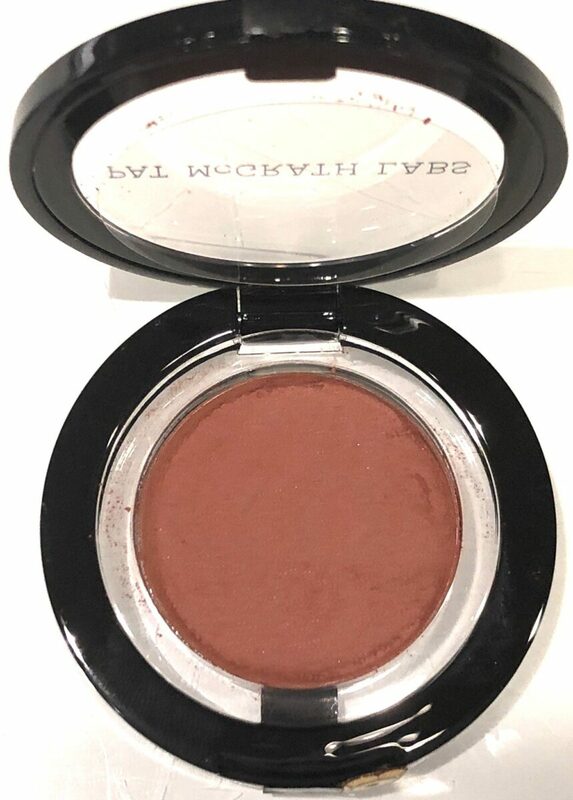 Finally, the eyeshadow looks like a bulls-eye, in a round plastic case. In fact, the shadow looks like it is floating in clear acrylic. Also, a black ring surrounds the clear acrylic. This is the outside of the case. Also, the case has a light magnet to keep it closed. The EYEdol Shadows come in three finishes, matte, metallic and shimmer. Also, the shadows are less like shadows and more like pure pigments. The reason for this is the shadows have rich, pigmented color that is dense. In addition, they shadows have velvety textures when dry. However, the shadows, when used wet, act like melted metals. First, the Matte shades sculpt, contour, and define our eyelids. The mattes are pure pigments that have creamy, and ultra-soft texture. Also, the formula creates a smoothing, soft focus and blurring effect that is also opaque and feels weightless. Finally, when wet, one brush stroke, when damp, will give you an intense color payoff. On the other hand, when they are dry, they are buildable. Next, the Metallic shades are designed with vitamin enriched emollients to create a hydrating, gleaming, metallic effect. The metallic shades capture light. Also, the metallics are pure colors that are velvety smooth. 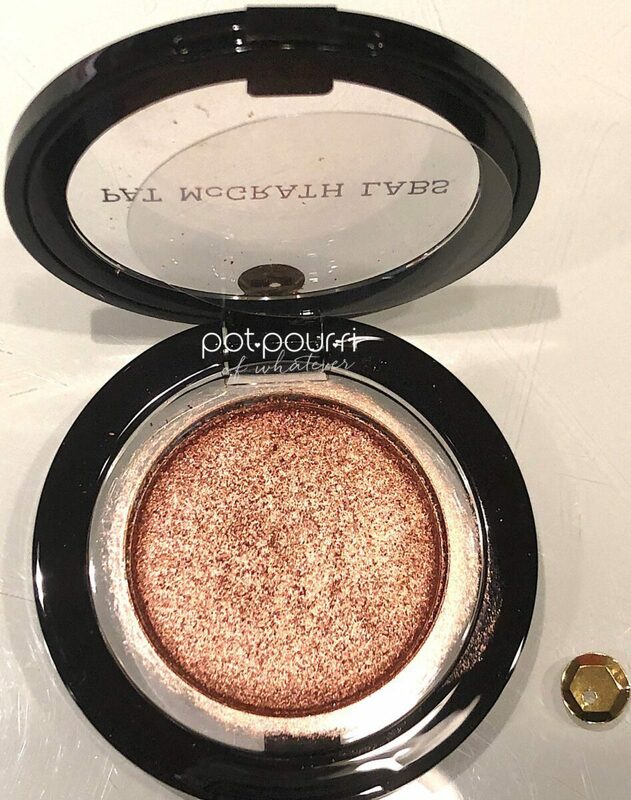 The the metallic shadow is a gel powder. Infused with a metallic shine, it adds radiance and iridescence. The color glides on the skin. And, it flawlessly blends and builds. 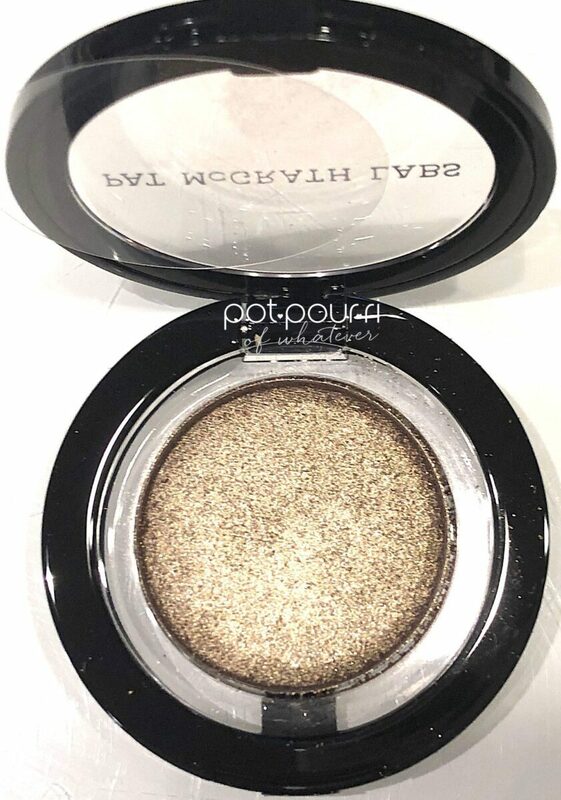 Last, the Shimmer shadows are amazing highlighters. They have a pearlescent formula. 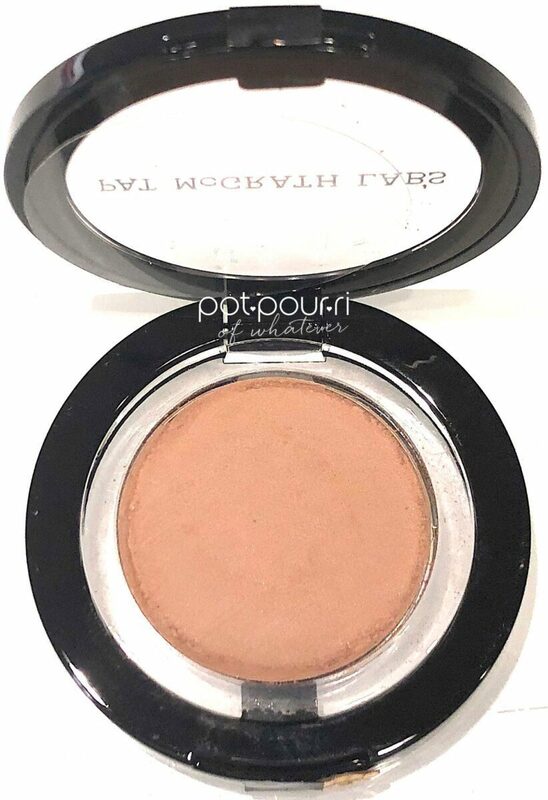 Also, the pressed powder – cream hybrid has ultra soft emollients. As a result, the shimmers melt into your skin. I purchased six of the seventeen shades. Three of the shadows I bought are new shades. First, Burnished Honey, a mahogany suede shade, has a matte finish. 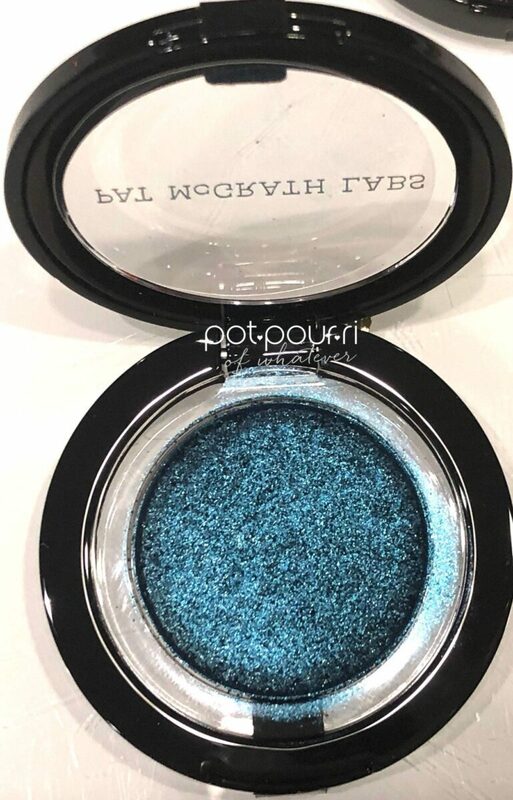 And, it is one of the new Pat McGrath shades in the Eyedols collection. Next, Statuesque, a suede, neutral taupe shade, has a matte finish. 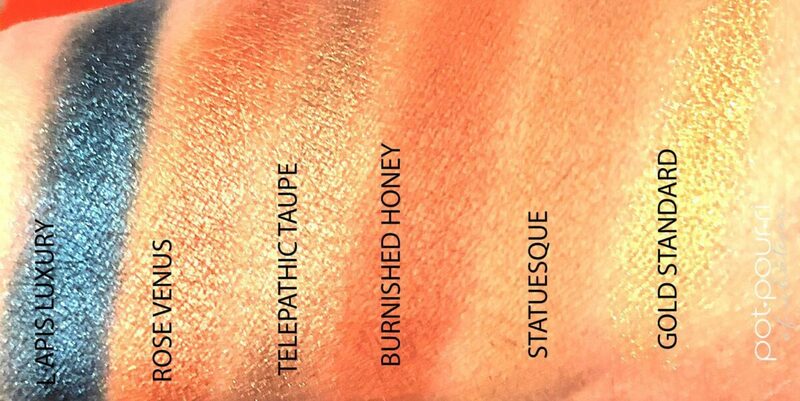 Statuesque is also one of the new Eyedols shades. Third, Rose Venus, a pink shimmer, has a metallic finish. Rose Venus is one of the new Eyedols shades. 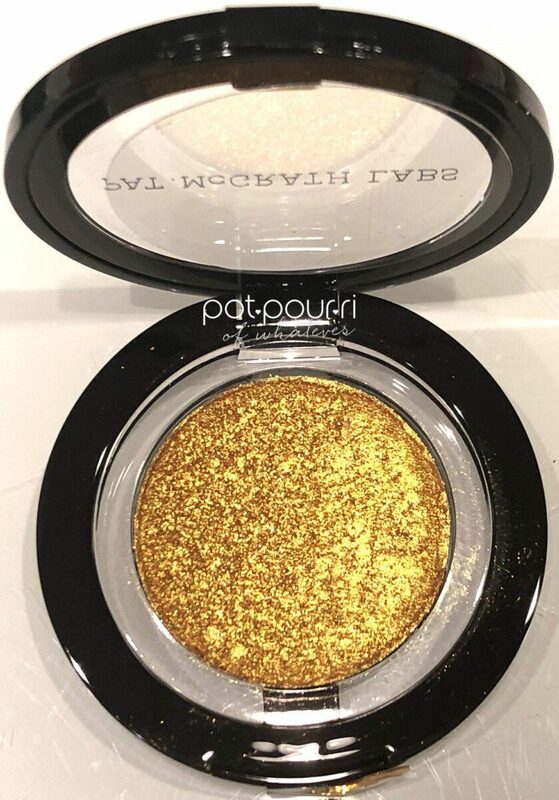 Fourth, Gold Standard, a luminous 24K Gold, has a shimmer finish. Lapis Luxury, a multi dimensional Turquoise shade, has a metallic finish. Last, Telepathic Taupe, a glittering Greige shade, has a metallic finish. I hope I didn’t give you the impression that I dislike curated palettes. Actually, I love my curated palettes. 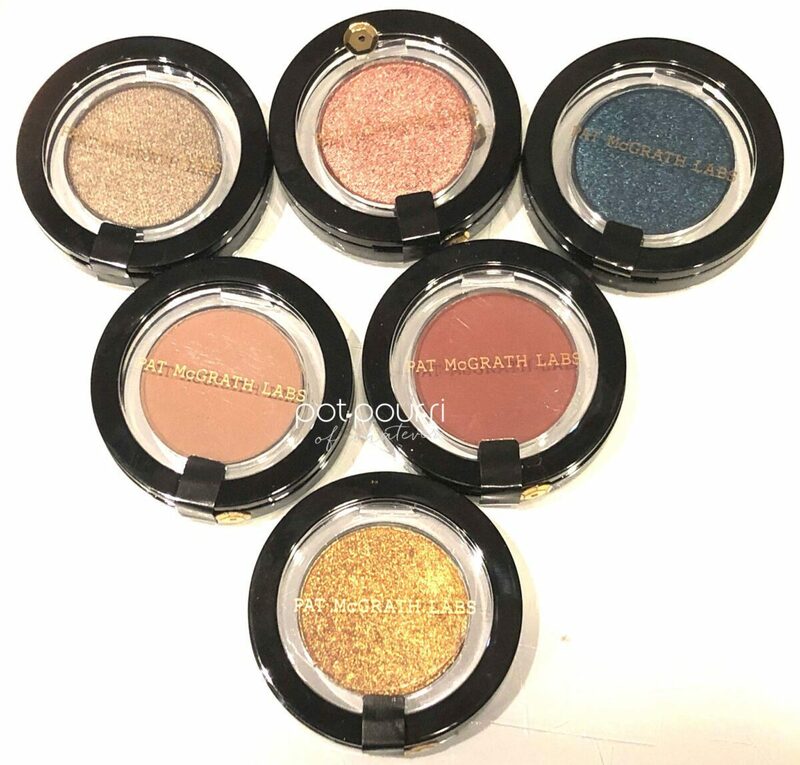 Especially, I adore the Pat McGrath Mothership Palettes. For me, these palettes are like pieces of art, from the packaging, to the colors. 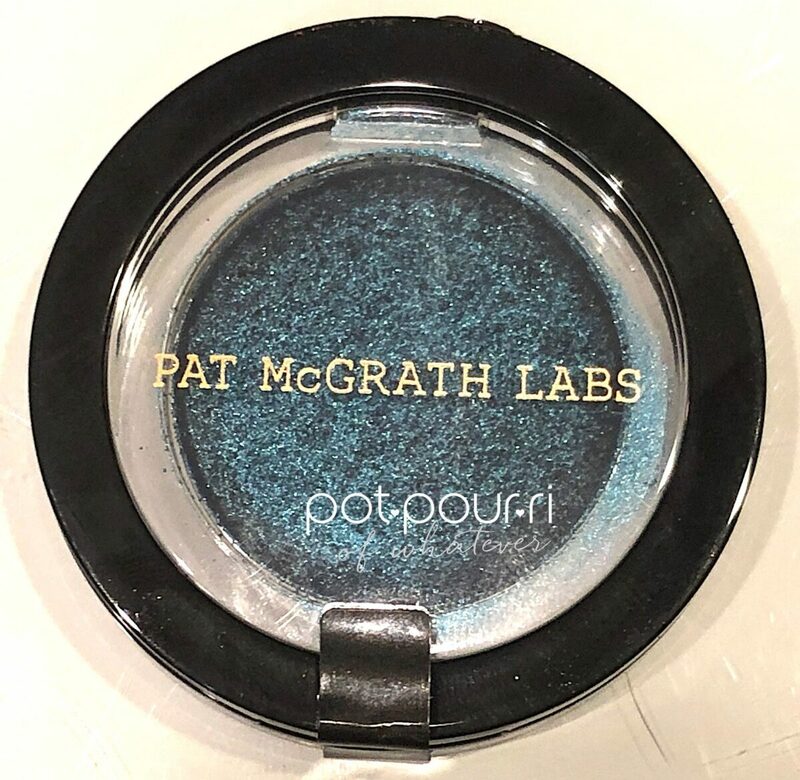 And, of course, Pat’s eye shadow formulas are the best. Otherwise, I wouldn’t have purchased all of her Motherships, and anything and everything else Pat creates. Also, the same goes for Natasha Denona. However, sometimes, I don’t know what palettes to choose! If I have to go somewhere special, I pull out a few palettes, and stare at them! Yet, as beautiful as they are, sometimes I have a difficult time deciding what to do with them! I end up sticking to my favorite shades, regardless of the palette. Hence, I like the idea of me choosing the single shades I know I’ll use again and again. Plus, singles are a lot easier to travel with! 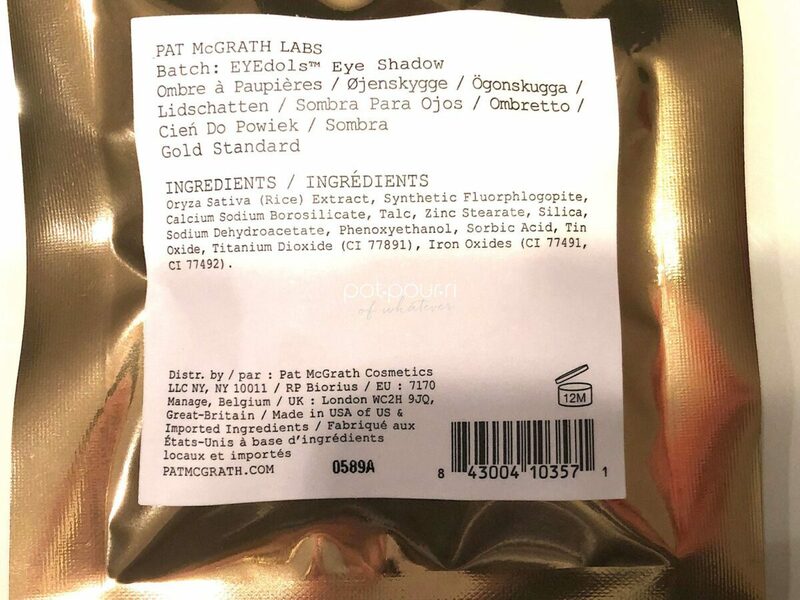 Although, I love makeup so much, and Pat’s shades are so beautiful, I am sure I’ll go back and get some more!!!!! And you? Do you like the big palettes with lots and lots of eye shadows in them? Or, do you like a few of your favorite shades? Or, do you like both options? I love the options of being able to choose!